DeNovix Inc. is an instrumentation company that designs, manufactures and sells laboratory equipment to meet the demands of today’s evolving life science technologies. Our focus is on providing innovative products and outstanding customer support. DeNovix is equipped with the financial, commercial and technical resources to deliver breakthrough products for your research success. 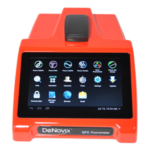 DeNovix offers the DS-11 FX Series Spectrophotometer/Fluorometer which combines fluorescence analysis and 1uL UV-Vis in the same instrument. Coupled with our new suite of dsDNA Fluorescence assays, DeNovix instruments provide a wider quantification range than any other instrument. 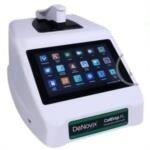 DeNovix instruments are found in life science research labs world-wide. Each instrument is a stand-alone system controlled by a built-in Android™ operating system (no PC). Labs love the smart-phone-like operation, impressive performance and the flexible connectivity of the instrument. 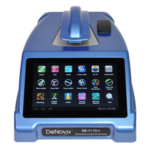 Learn more about DeNovix Instruments and how they can benefit your lab.